Last week, the ABA Journal and University of Alabama Law School announced that the annual Harper Lee Prize for Legal Fiction would be awarded to this pulsating thriller, in which maverick criminal attorney Mickey Haller, having been forced to take on foreclosure cases to make ends meet during the recession, finds himself representing a woman accused of killing the banker who is threatening to take her house away. But let’s be honest – you, dear readers, just want to know whether The Fifth Witness is worth a read, right? In short: heck yes. The Fifth Witness sees Haller, a conflicted legal ‘hero’ who first appeared in The Lincoln Lawyer (and played with aplomb by Matthew McConaughey in the brooding and suspenseful film of the same name), facing crises financial, legal, and existential. Thanks to the global financial meltdown, Haller – who briefly dabbled on the prosecutorial side of the courtroom in The Reversal – is filling his days defending clients not from criminal charges but from banks wanting to foreclose on their homes. Months after the shift in his caseload, Haller’s first mortgagee client is still proving to be his most problematic: Lisa Trammel has been battling hard to save her house, and the fight has got nasty. Haller and Trammel have accused the bank of fraud, and the bank has got a restraining order to stop her vocal protests. When a mortgage banker is bludgeoned to death with a hammer in the bank’s car park, Trammel becomes the prime suspect, and Haller is once again defending a seemingly vulnerable client against the might and machinery of the state. But as Haller is soon to discover, neither the case nor the client are what they seem, and as he dodges, ducks, dips, dives, and dodges his way through the ensuing courtroom drama, Haller begins to fundamentally question his own life choices. 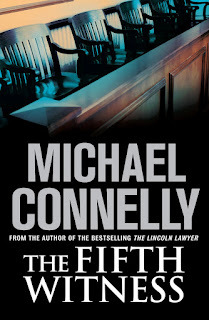 Connelly hauls readers right into the courtroom in The Fifth Witness (much more so than the previous novels in the series), with Haller’s lively first-person narration and honest appraisal of his missteps and successes really bringing the US criminal justice system – with its mix of process, personalities, and power – to life. Beyond the compelling storyline and terrific characterisation, Connelly also intrigues with an exploration of the murky causes and troubling consequences of the financial meltdown. The Harper Lee Award’s selection committee, which included legal and political analysts, attorneys-turned-authors, and former US Secretary of State Condoleeza Rice, certainly made a terrific choice this year. This review was first published in print in issue 190 of NZLawyer magazine, on 10 August 2012, and is reprinted here online with permission. Craig - You don't have to sell me on either this novel (which I agree is terrific)or Connelly. Glad you enjoyed it so much! What a well-deserved honor for Michael Connelly. 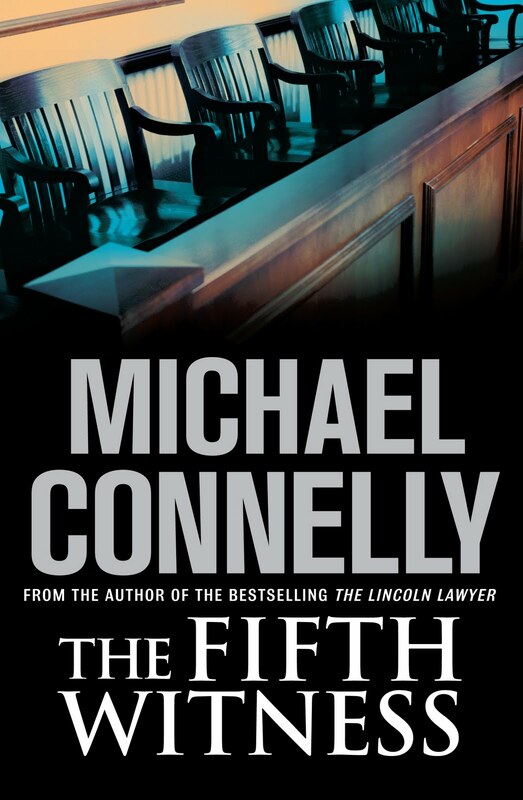 Loved The Lincoln Lawyer and this one but didn't realize there were 4 books in the series.